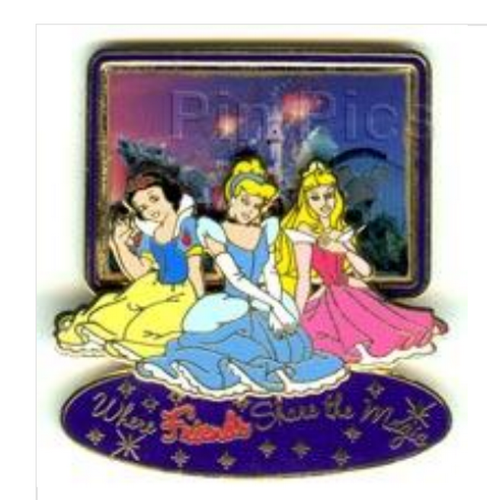 This pin features Snow White, Cinderella and Aurora/Sleeping Beauty with a framed picture of Sleeping Beauty's castle and fireworks are in the background. "Where Friends Share the Magic" is written underneath the princesses. This pin is a pin on pin design with brillant color.